MailShake is an email outreach tool offering all the raw power you need to scale white hat linking building. Unlike other tools in this category, MailShake puts emphasis on the user experience, making it possibly the most intuitive, yet uninhibited outreach tool on the market today. Mailshake uses features like mail merge and auto follow-ups to make email outreach fast and effective. You’ll struggle to find any other premium outreach tool at this price point, especially when factoring additional users. Probably one of the most well thought out tools I’ve ever used, and the overall user experience is exceptional. No live chat but email support is fast and reliable with response time usually within 1-2 days. Truth is, they we do. Not a day goes by where I don’t get another BS email about the latest epic blog post, game-changing online course or must-have marketing tool. It’s tiring. And like you (probably), I’ve developed some trust issues. I’ve learned to ignore the same old marketing spiel that hits my inbox like an endless horde of virtual door-to-door salesmen. So when I got this email from AppSumo about a new tool called MailShake, I was naturally skeptical. Really, ANOTHER email outreach tool? This time though, there was something different about it. Something deep inside that told me I should probably reconsider this one. Anyhoo…I jumped on the bandwagon and spent the next few weeks discovering what this tool really has to offer. MailShake, formerly known as Connector, was rebranded and re-released in 2017 as a simple solution for cold email outreach. Well, it was originally part of a suite of tools developed for online marketers. That was until the founders, Sujan Patel and Colin Mathews, realized the large majority of their user-base were only interested in the email outreach tool, Connector. They eventually made the decision to go all in on email outreach and take their already popular outreach tool to the next level. And that, my friends, is how MailShake was born. It’s a nice story, but you’re not here for nice stories. You’re here to find out if MailShake can help you execute white hat link building at scale. And, most importantly, if it will help you do it faster and more efficiently than any other outreach tool on the planet. With that in mind, let’s kick things off with a video overview. And since GMass is MailShakes closest competitor, I’ll make as many comparisons as I can to give you a better understanding of the key differences. That way, you’ll be able to make a more informed decision about which tool is right for you. Note: There are a ton of similarities between these 2 tools, so naturally, there will be some overlap between this review and my last one. As I mentioned in this roundup post, not all outreach tools are created equal. 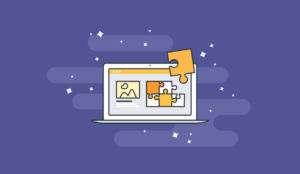 Some outreach tools offer an all-in-one solution that covers each phase of the outreach process, others are dedicated tools that only handle outreach. MailShake – like GMass – is a dedicated outreach tool. Like I said, I covered this in way more detail in this post, so make sure you check it out if this is a concern for you. If there’s one thing that immediately separates MailShake from GMass, it’s the fact that it has a dedicated user-interface. As you can see, MailShake sports a no-nonsense, flat design that I really resonated with straight off the bat. Now, even though it doesn’t run directly inside Gmail, it’s still powered by Gmail in exactly the same way GMass is. All you need to do is click “Mail Accounts” to hook it all up. MailShake essentially adds an extra visual layer on top of your Gmail account – and that comes with it’s own set of pros and cons. The most obvious advantage is ease of use. Obviously not every user-interface is intuitive, that’s down to the designers. But in MailShakes case, you can literally start using it straight out the box without any prior knowledge of how it works. It almost reminds me of an installation wizard, taking you through the setup process step-by-step. Personally, I prefer the hand-holding. It uses less brain power and I don’t have much of that to start with. With GMass, even though it’s not all that difficult to get your head around, the tool doesn’t give you any real direction. That said, there is a small trade off. Having that extra layer with MailShake slows things down a little – not because the interface is slow, it’s actually pretty fast. Granted, they’re small things – like, really small – But if you’re coming from GMass it’s something you’re likely to notice. …BUT with one key difference. It doesn’t support Google Sheets integration. But look, you could throw a hissy fit and boycott MailShake for not playing nice with Google Sheets. Or, you could take a deep breath and listen to what I have to say, because the reality is, it’s not that big a deal. All you need to do is save your Google Sheet as a CSV file. And then upload the CSV to MailShake. Now, when you start writing your outreach email, you’ll see your text replacement options in the editor. And when MailShake detects any missing data from your CSV, it’ll give you the option to add fallback replacements. In case you’re wondering, this is also something you can do in GMass using a pipe. I don’t care how good you think you are with email outreach, mistakes are inevitable. And there’s nothing worse than blasting out an outreach campaign only to realize you made a significant typo, or that you linked to the wrong page. After all, that stuff can seriously lower your placement rates. Fortunately, MailShake has a built-in safety net. Before you can even send a campaign, you get to preview your outreach emails exactly as they will look for each individual prospect. This is something only possible through GMass by using Gmail drafts. And, as I explained in the review, it’s nowhere near as efficient. The preview screen isn’t really just for previewing. It’s also an editor that can be used for recipient-level personalization. So if you think Influencer A deserves a bit more love than Influencer B, you can just make the appropriate changes right there in the preview stage. The only way you could achieve this with GMass is by remembering to add that extra information beforehand, in the spreadsheet. Admittedly, this isn’t a feature I’ve made much use of myself but it’s nice to have that option needed. These days, we have tracking and reporting for everything. You use bank accounts and budgeting apps to track spending. You use score sheets and accountability partners to track our eating habits. And nowadays, you can even track the cooking and delivery process of the pizza you just ordered! Because tracking and reporting is useful. When we have access to real life data, we can make intelligent and justified decisions that allow us to get better results… faster. Email outreach is a perfect example of that. To track your campaigns with MailShake, just check the tracking options in the campaign settings. And once the data starts coming back from your campaign, you’ll be able to check out the results through MailShakes awesome reporting. Another thing I particularly like is how MailShake shows you reporting across all campaigns for quick and easy comparison. I spoke about the importance of deliverability in the roundup review, but I wanted to highlight it for MailShake specifically. As I mentioned in that post, custom tracking domains have been said to improve deliverability by allowing you to build your own sending reputation. But here’s where it falls down for MailShake. I’ve never heard about domain tracking links affecting deliverability, and neither has our dev team. If you perform responsible email outreach and avoid spam-like behavior, you shouldn’t have any issues with deliverability. We haven’t had any customers with deliverability issues using the tool. A little weird, especially considering there’s plenty of articles out there supporting the deliverability benefits of using a custom tracking domain – including this one, this one, and this one. Currently Mailshake uses a fixed set of tracking domains that we occasionally rotate. This is something we’ll build on over time. It begs the question, why do they do need to rotate domains if it doesn’t affect deliverability? Good question. We have procedures in place to rotate tracking domains as a reaction to complaints we receive, but to be honest we haven’t had to do that yet. 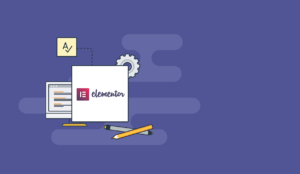 Custom tracking domains could theoretically score higher in deliverability, but our experience with regards to deliverability so far has been very positive. The developer (and founder) behind GMass also disagrees with MailShake on this one, and he did implement custom tracking domains into his tool. The truth is, it’s hard to know for sure if MailShake really does suffer from deliverability issues. Personally, I haven’t seen any evidence from my own campaigns that would support that argument. If you’re not following up with unresponsive prospects, you’re leaving a TON of the links on the table. I’ve said it before, and I’ll say it again. I’ve ran campaigns that acquired the majority of links through follow-ups alone. The problem with following-up is that it’s usually requires some ninja organization. At best, most outreach tools – like BuzzStream – will give you follow-up reminders. Reminders are okay, but MailShake does one better. With auto follow-ups you only have to run the campaign once and MailShake does all the chasing for you. It literally saves you hours of work. Granted it’s not the first tool to implement auto follow-ups. 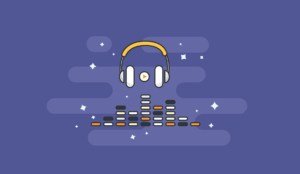 Tools like Pitchbox and GMass have that functionality too – but it’s always a welcome feature. To set up auto follow-ups in MailShake, just click the ‘Add Reply’ button from the compose screen. And this will allow you to do everything from writing the follow-up to setting the conditions, right from this page. What’s great about this is you can set specific intervals where follow-ups are sent for any prospect who doesn’t open your emails, reply back, or both. That’s right, MailShake let’s you make a number of changes to campaigns that are already active. First of all, let’s say you just ran a campaign and you chose to send it out in batches – something I often do. If you find, midway, that it’s not getting the response you hoped for, you can go into that campaign and change the outreach email – and follow-ups – for the remaining prospects. For example, you can pause individual prospects so they’re no longer included in your follow-up sequence. This is really useful when a prospect replies from a different email address since most outreach tools won’t be able to make that connection. Finally – and I really love this one – you can drop a whole new list of prospects into an existing campaign. This is what MailShake calls Forever Campaigns. Just click the “Recipients” tab, upload your CSV and MailShake will immediately apply the same settings to your new prospects. Essentially, you can set up permanent campaigns for different types of link building strategies (or variations of the same one) and continuously drop new prospects in. Contrast this live management aspect with GMass. It’s practically non-existent. I should say, you can also add prospects to existing campaigns with GMass. It just works by adding new rows to the Google Sheet, but unlike MailShake, the campaign settings are fixed. You might be pleased to hear, MailShake provides a BUNCH of pre-made templates for you to use straight outta’ the box. To use them, just click the ‘Templates’ button from the editor. You can pick from various categories – including general link building, broken link building, guest blogging and standard follow-ups. The templates themselves are actually well-written. The guys behind MailShake clearly have experience with email outreach. That said, it always surprises me is how many people love to use outreach templates in the first place. Don’t get me wrong, templates do save time, but MailShake has a large and growing user-base. Unless you really make them your own then you can bet people will have seen it a dozen times before. Again, I’m not bashing templates – they have their uses. I just think they should be used as the foundation of your emails. They shouldn’t be seen as a free pass to laziness. Fortunately, MailShake does allow you to build your own set of templates. So you can build a custom library of templates over time – which I encourage you to take advantage of. Another useful feature of MailShake is the unsubscribe list. This is a universal list of email addresses that lives inside your account, and any email on that list will be automatically excluded from any campaign. From what I’ve seen, MailShake automatically adds bounced email addresses to your unsubscribe list. And anyone who replies to any of your outreach emails with the words” unsubscribe” or “opt out” will also be added to the list. 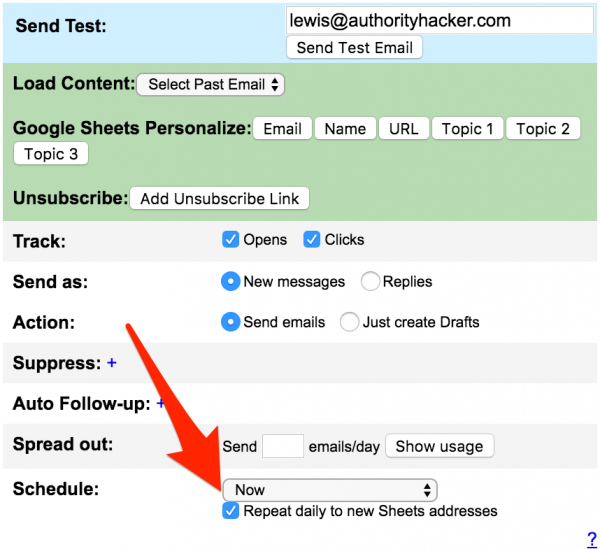 And of course, you can manually add individual or a bulk list of email addresses. I actually prefer the way GMass handles this with suppress lists – which are useful for excluding email addresses used in previous campaigns. 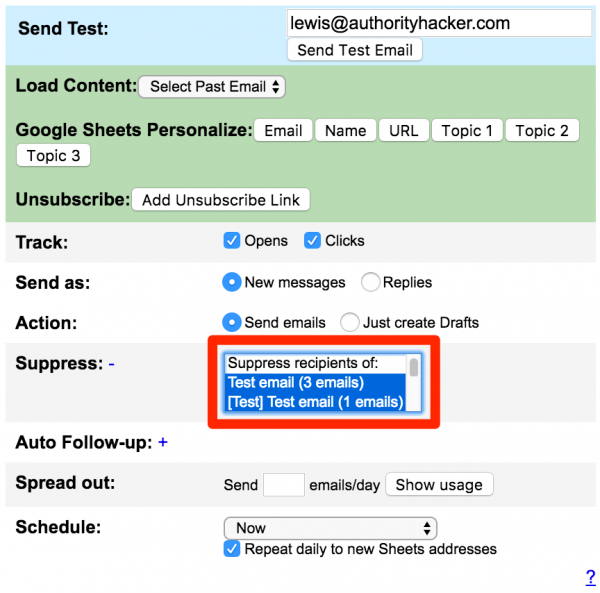 To achieve this in MailShake, you have to remember to manually add emails from each campaign. Still works, but it’s not perfect. When it comes to support, MailShake is yet again similar to GMass. Support requests are funneled through their email ticketing system and response times are about the same at 1 day… 2 at most. Reaching out is easy enough. From inside MailShake, just click the little question mark up top. And you’ll get a popup window with a bunch of videos. And you’ll eventually get to the contact form. Is MailShake Right For You? So I’ve covered all the different features and functions of MailShake, how they contribute when it actually comes to doing outreach and weighed up all the pros and cons along the way. Now, I’ll talk about whether YOU should invest in this tool, or if there’s in fact a better alternative you should turn to. If you’re just getting started with link building, MailShake is a great option. Again, it’s not an all-in-one solution. It won’t handle finding prospects or contact information like BuzzStream does. Something you need to keep in mind. But as I said before, manual prospecting is a lot more effective. Once you get that down, MailShake will give you everything you need for the actual outreach phase. Is it more beginner-friendly than GMass? Truth is, I started out with GMass and it worked just fine. Though it should be said that MailShake wasn’t around then. At least not in it’s current form. Personally, if I could go back and was given the option, I’d have to go with MailShake. It’s just a lot more intuitive and that’s something any beginner can appreciate. If you’re looking to build links on a budget, MailShake is by far on the most affordable outreach tools on the market. The pricing structure is as simple and straightforward as the software itself. There’s only one plan at $19 per month, per user. And if we compare that to other popular outreach tools on the market, it actually comes in close second to GMass. But as I explained in my GMass review, the $6.95/month plan is terrible. The premium plan is the only plan worth considering and it’s also significantly more expensive. Accounting for updated price, let’s take a look at that comparison again. As you can see, MailShake is now the clear winner for the most budget-friendly email outreach tool. If you can afford to splash out $19 per month, you’ll be off to the races with MailShake. If not, there is another option. While MailShake doesn’t offer a free plan, GMass does. And it’s actually pretty decent. It allows you to send up to 50 emails per day with all the other benefits you get with the premium plan. If you’re on a really tight budget, the GMass free plan might be the way to go. 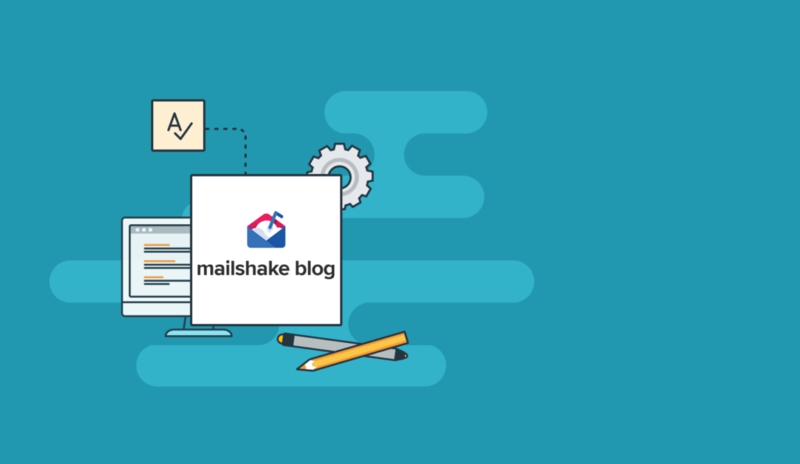 If you consider yourself a high-level link builder, MailShake is a serious contender for that #1 spot in your outreach toolkit. It has all the main features you’d expect from a top-tier outreach tool, including mail merge, auto follow-ups and advanced reporting. But… it’s not all sunshine and rainbows. I realize the whole ‘custom tracking domain’ thing could be significant for some people – especially if you’re sending out large volumes of emails where those extra %’s really count. From the short amount of time I’ve been using MailShake, I haven’t seen any deliverability issues. But again, that’s just anecdotal. If it’s something that concerns you, you’re probably better off going with GMass – which is equally as good and even slightly faster overall. Either way, I think both of these tools are solid choices when it comes to scaling white hat link building with email outreach. In my GMass review I took you through the steps involved to run a guest posting campaign, so let’s do the same with MailShake. And since MailShake also doesn’t find prospects or contact information, we’ll need to get our hands dirty again. For this example, I’ll use one of the advanced search queries along with the keyword “diving”. Now just scan the results to see which ones might be guest posts contributions. Let’s explore the first result, sarepa.com. And I’d be happy to pitch this site for several reasons. Now to get that contact information, and the Hunter chrome extensions saves the day yet again. Now I just need the name, which I found on the About page. And then it all goes in a simple spreadsheet. For “topic ideas” – which will most likely be different for each prospect – we can save time by letting MailShake handle it with mail merge. 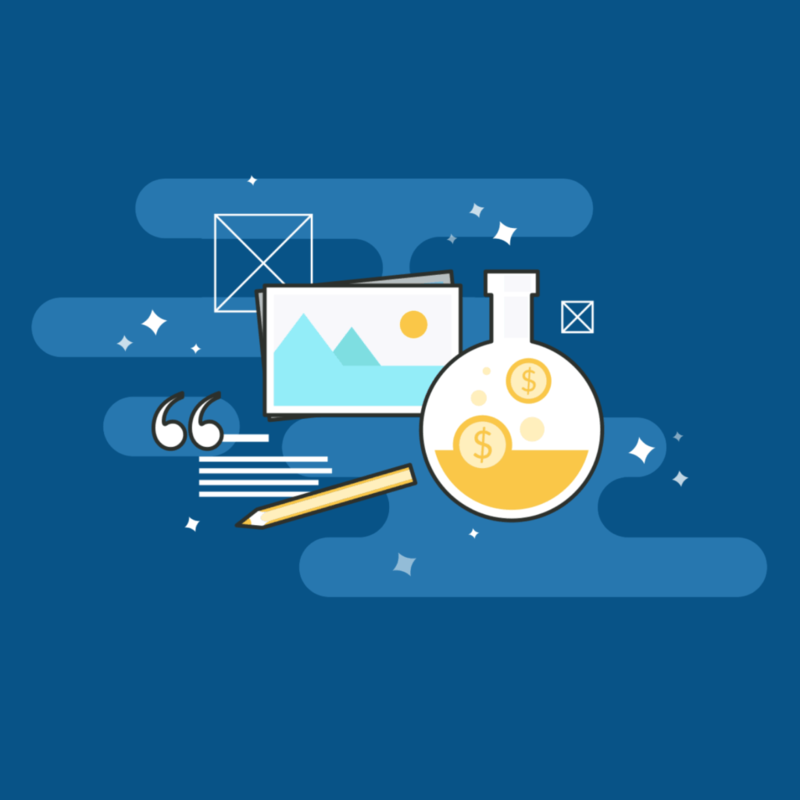 Coming up with ideas is just as easy with BuzzSumo or Ahrefs Content Explorer, which helps you identify what’s already working for that blog. I’ll use Ahrefs (read the review) this time. Plug in a domain and the tool will sort it’s content based on performance factors like links or social shares. Remember, these topics are already PROVEN and suggesting similar topic ideas will increase your chances of getting accepted. And I’ve only got 1 prospect in here, but you can scale this with as many rows and columns as you like. Once you’ve downloaded your CSV, it’s time to fire up MailShake. Go into the ‘Campaigns’ tab and click the plus icon to start a new campaign. The first step is to name your campaign and choose which email address you’ll be sending from. And now the fun part, writing the outreach email. Remember, you can also use the prewritten templates as a foundation for your emails dropping in text replacements where necessary. And you can add follow-up conditions from here as well. Next, you can preview everything and make any independent changes here before sending the campaign. And coming to the end, enable tracking, set your timezone and enter any fallback text replacements. Finally, hit send and let the magic happen. Any replies you receive can be handled straight from your Gmail inbox, and that’s all there is to it. As someone who’s fully transitioned from GMass to MailShake after only discovering it a few weeks ago – I could hardly be happier with it. It has all the raw power of GMass in a neatly packed environment, taking all the guesswork out of running an outreach campaign at scale. MailShake is great for anyone from beginner-level, budgeters and even high-level marketers – despite some potential concern over deliverability. Providing your prospecting skills are up to scratch, you’ll have no problem landing top of the range, white hat links with MailShake. Hey there. Good review. I have a question. Can i like add 20 accounts to mailshake or only one account per license? If i can add 20, which email would the campaign go from? At this time I believe you can only connect one account per paid user. This may change though, especially depending on if you pick up your license during a sale from another site etc. I use Mailshake for emailing and my experience with it is terrible. First, it is breaking all campaigns (even scheduled), second out of office reply is counted as potential lead so it doesn’t send follow-ups to those people. Third thing is that email [email protected] doesn’t work, just form that I dug somewhere but that is not the end. On my question why it breaks initial campaign and information that their email is not working I got an answer ‘can you tell me when you wrote us since we want to ensure that we answer….’ typical support answer but without reply on my problem. I wrote a couple of time since then and I am waiting for 20 days, no answer. So, an automatic tool that doesn’t automate a process and without support. I would never go into such an adventure again. Paying for nothing, it doesn’t worth even a penny. Of course everyone’s experiences differ with this type of thing, however, this does seem quite odd. The system is usually capable of detecting and auto-follow up or OOO reply and disregards it. There may some settings you can adjust to alter what qualifies as and “auto reply” though. We’ve also had very prompt replies from their support team in the past too. Admittedly they could certainly add a live chat feature but receiving poor support does seem very uncharacteristic based on our own experience which is a shame. Great article! I since then moved to quickmail.io as I found it to be more powerful for my usage. Great article and techniques, but what about phase 3 … relationship management. I can see double emailing people a year later…. basically forgetting everything at scale and looking like a fool! This is still something Mailshake struggles with but something that can be tracked pretty easily in an excel sheet! Thanks for the wonderful review. I have been confused on whether to go for a full fledged outreach CRM or a specialized outreach tool that focuses on Phase 2 only. I will try out mailshake as it seems to be a better fit. That’s true! 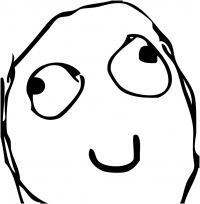 I just checked the Mailshake website and the price listed there is $19 per month per user. Guess will have to keep my fingers crossed and hope for an AppSumo re-run.